Stuff yourself at Dolores Hotel’s 14th Anniversary Merienda Buffet! In celebration of its 14th Anniversary, Dolores Hotel is offering its hotel guests and walk-in clients something to delight their palates, the Merienda Buffet. 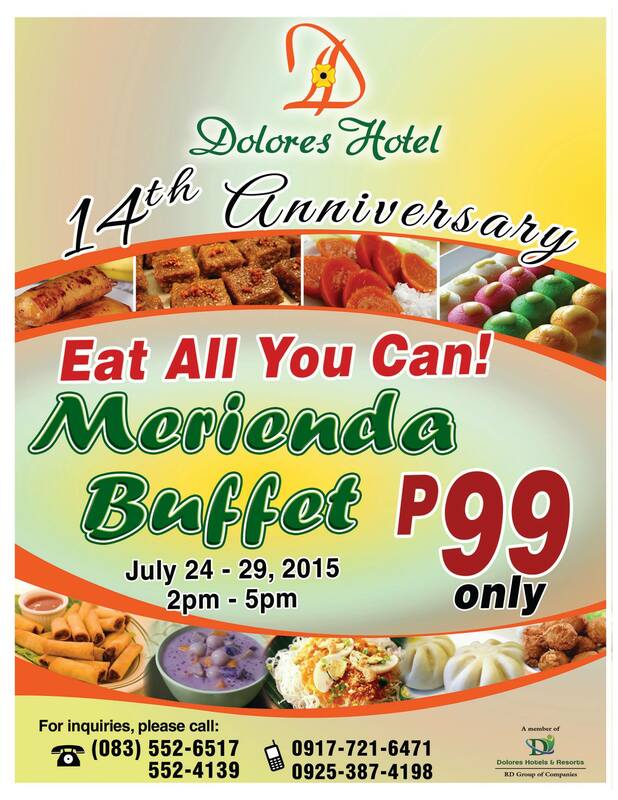 For one week, from July 24 to July 29,2015, Dolores Hotel is serving up a Merienda Buffet starting at 2pm untl 5pm. Guests can choose from a wide array of delicious snack foods for only P99.00 at the Dolores Hotel Lobby in time for their afternoon break or high tea.